The Yangtze River, the longest river in China and the third-longest in the world, fosters a unique and rich ecosystem. It is China’s national strategic water source and an area concentrated with ecological security shelters. The Yangtze River Economic Belt covers 11 Chinese municipalities and provinces including Shanghai, Jiangsu, Zhejiang, Sichuan, and Yunnan across a total area of 2.05 million square kilometers. A key Chinese economic belt, it is home to a massive population and yields an impressive total output value, both exceeding 40 percent of the country’s total. Based on scientific research and analysis of the Yangtze River’s ecological and economic situation, Chinese President Xi Jinping has set the tone for the river’s green development. “We should raise restoration of the Yangtze River’s ecological environment high on the agenda and do everything we can to protect it, starting with a ban on large-scale development of the river,” Xi said. On July 13, 2017, China’s Ministry of Ecology and Environment (formerly Ministry of Environmental Protection), National Development and Reform Commission and Ministry of Water Resources released a jointly compiled eco-environmental protection plan for the entire Yangtze River Economic Belt through promoting a new pattern of green development. Currently, the Yangtze River’s overdevelopment stands out. Considerable challenges must be overcome to achieve green development. First, the areas along the Yangtze River now receive inadequate overall protection. Over the past two decades, the total area of cities and towns along the river has expanded by more than 39 percent. The river’s waterfront areas have witnessed excessive development. The development and utilization rate for its mainstreams and waterfronts at the lower reaches has reached 40 percent. Rapid urbanization and vigorous development have caused drastic changes to the river’s ecosystem, resulting in ecosystem fragmentation and degradation of its service function. Areas of farmland, forest, grassland and wetland are shrinking. Second, the persisting high volume of pollution emissions poses problems. The Yangtze River Economic Belt is plagued by excessive and widespread pollution. Wastewater discharge along the economic belt accounts for more than 40 percent of the country’s total. Chemical oxygen demand on per unit area and emission intensities of ammonia nitrogen, sulfur dioxide, oxynitride and volatile organic compound in the region are 1.5 to 2 times the country’s average levels. Third, it is difficult to coordinate and design comprehensive plans to protect the economic belt’s water quality, water yield and water ecology. The implementation of hydro-electric and water transfer projects along the Yangtze River’s mainstreams and tributaries has greatly influenced water resource allocation and the ecological environment of water transfer areas. However, effective coordination mechanisms and measures have been lacking. Fourth, the clash between regional development interests and environmental protection is glaring. Pollution is severe in areas including the Yangtze River Delta, the middle reaches of Yangtze River and the Chengdu-Chongqing urban agglomeration. Fifth, various provinces and municipalities along the Yangtze River contrast greatly in terms of green development level. The many provinces and municipalities along the river have widely varying development conditions in terms of resources, environment, transportation and industry. The development gap between different regions is large. Industrial development in areas of the river’s upper, middle and lower reaches hasn’t been well coordinated, and industries are usually homogenous. And finally, supporting systems and mechanisms designed for the Yangtze River Economic Belt’s comprehensive management need to be further improved. Clearly, designing a comprehensive and cross-departmental management system for the economic belt is a tough task. The current coordination mechanism is not sound enough. Through tireless efforts including compiling and issuing the eco-environmental protection plan for the Yangtze River Economic Belt, the Chinese government has made the general principle, targets, and roadmap of the economic belt’s green development strategy very clear. First, an “ecology first” strategy will be implemented. The natural law of the economic belt should be respected. For long-term benefits, the economic belt’s ecological protection should be a top priority, which will promote the formation of a resource-saving and environmentally friendly industrial structure, growth pattern and consumption model. Second, a systematic protection strategy will be implemented. With the Yangtze River’s mainstreams and tributaries serving as veins, systematic management of mountains, waters, forests, farmlands and grasslands along the river will be reinforced. Ecological regulation of water conservancy and hydropower projects will be carried out. An integrated regional environmental protection system will be formed to promote systematic and comprehensive protection. Third, a space control and management strategy will be implemented. Based on the Yangtze River Economic Belt’s ecological and environmental features, various management and control measures to protect water, the atmosphere and the ecology by targeting different regions will be reinforced to build an ecological security pattern. Stricter regulations will be implemented to ensure that all economic activities related to the Yangtze River are regulated by targeted environmental protection and management measures. Fourth, an institutional innovation strategy will be implemented. 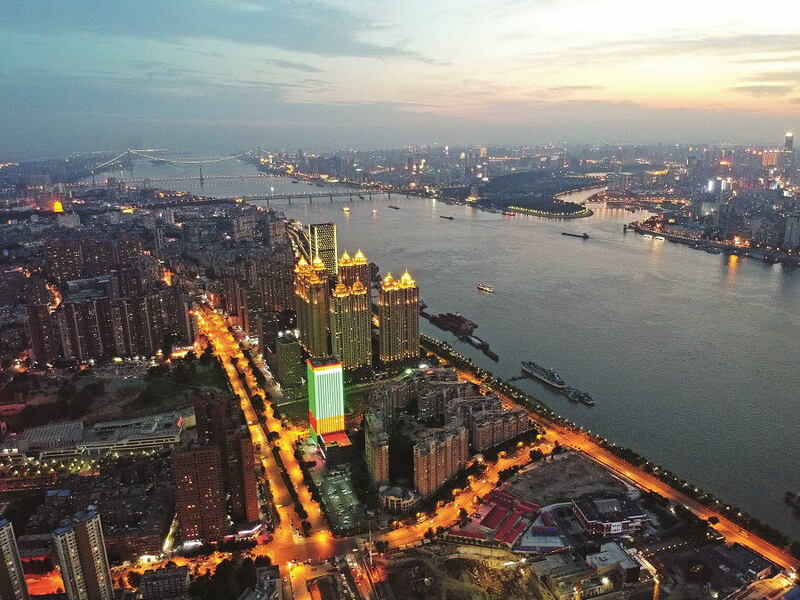 Greater importance will be placed on institutional reforms of the economic belt’s comprehensive management, and a mechanism for ecological protection of the Yangtze River featuring extensive efforts, joint management and shared benefits will be created. To realize these goals, the Chinese government has proposed two strategic goals for 2020 and 2030, respectively, which are based on systematic analysis of scientific findings. 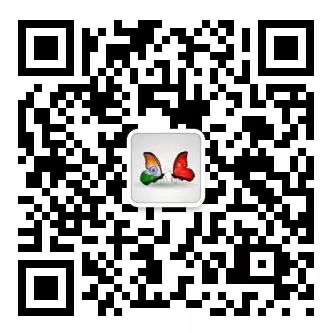 The 2020 goal aims at marked improvement of the economic belt’s ecological environment. The 2030 goal aims at sufficient ecological flow of the Yangtze River’s mainstreams and tributaries. By then, the quality of the water environment, air, and water ecology along the river should be significantly better. Service function of the river’s ecological system will be greatly improved, and its overall environment will be more beautiful. First, limits on the usage of water resources have been set. Presently, the limits on the usage of water resources in various regions along the Yangtze River have been determined to promote optimization and adjustment of regional economic layouts and structures. Unified management of water resources has been reinforced. Dual controls of both total water consumption volume and intensity have been implemented. An indicator system on total water consumption control covering three administrative levels, namely provinces, cities, and counties, has been established. And the total water control targets have been broken into smaller targets for different regions and industries. Second, bottom lines for water environmental quality management have been set. Protection of water resources is now high on agenda. Protection of headwaters has been further reinforced. More emphasis has been placed on treating water bodies with quality lower than Grade V, the worst according to China’s water quality grading system. Third, ecological red lines have been designated and implemented. 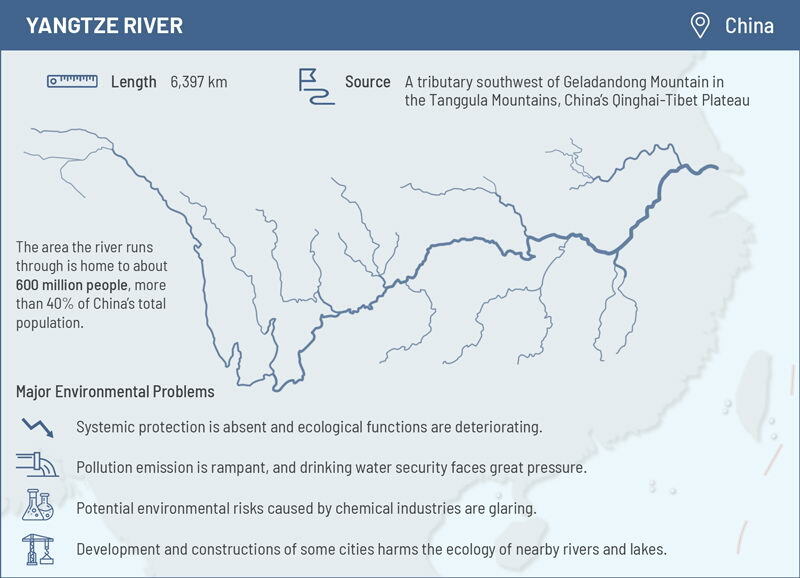 Areas that carry important service functions to the ecological security of the Yangtze River have been designated for protection with red lines. A space governance system has been established. First, reform on the economic belt’s comprehensive governance system should go deeper. Water-related environmental supervision and law enforcement, which are now scattered in the hands of various departments, should be centralized and unified. A more effective environmental supervision and law enforcement agency for the economic belt should be established. Unified planning, standards, environmental impact assessment, supervision and law enforcement should be implemented. Second, the joint prevention and control mechanism should be further improved to promote regional coordination and integration. The role of watershed management agencies should be given full play. Environmental supervision and law enforcement agencies should be established on basis of watershed. Trans-department, cross-regional and cross-basin supervision and emergency coordination should be further reinforced. A coordination mechanism on environmental protection and an early warning system covering related provinces and municipalities along the economic belt should be established. Third, monitoring, early warning and assessment of environmental bearing capacity should be carried out. The environmental capacity of the economic belt should be designated. Regular assessments of environmental bearing capacity need to be carried out. An early warning control line and response line should be set. For areas discharging pollution exceeding or near their bearing capacities, early warning alerts should be issued and restrictive measures should be taken. Fourth, environmental impact assessments should be promoted and implemented. When making development plans for regions along the economic belt, environmental impact assessment should be employed. Control requirements such as those on space, total volume and emissions should be made clear. The environmental impact assessment review opinions should be used as an important reference for decision making. Fifth, a strategic evaluation and assessment system should be established. For important strategic tasks such as reinforcing ecological red lines, measures including tracking analysis, supervision, inspection and review should be strengthened. For provinces and municipalities that fail to pass the evaluation, relevant provincial and municipal officials should be sanctioned and efforts must be intensified to address persisting problems. Sixth, a mechanism for ecological compensation should be established. A mechanism for ecological compensation involving development areas, benefited areas and conservation areas along the Yangtze River Economic Belt should be established. The central government should adopt measures such as increasing its general transfer payments and using special transfer payments to pay out “rewards” instead of subsidies. Constructions of projects such as supporting networks and pipelines for sewage and sludge treatment facilities should be given. Seventh, an economic policy mechanism covering the economic belt’s water environment governance should be built. Water rights within areas along the Yangtze River should be defined and allocated. A transaction mode for water rights between different regions and reaches along the river should be set. The author is vice director of the Environmental Policy Division of the Chinese Academy for Environmental Planning under the Ministry of Ecology and Environment.